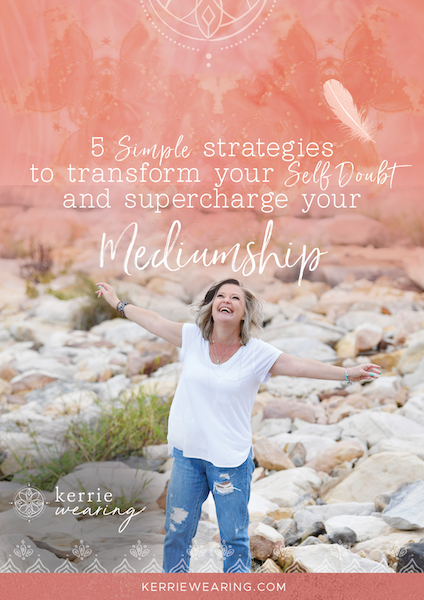 Motivate your Mediumship Mojo with these 5 simple strategies. Strategy #5: Your part of a team and let’s work it like one. You feel your connection to Spirit could be stronger and clearer but you are not really sure how to make that happen. You would like to turn down the volume of self doubt, negative self talk and be able to trust the information you receive more. You want to arm yourself with the right tools to just get on with doing what you do best. And that’s helping others through the power of your Mediumship. I have just read through your free ebook. I love it. It addresses so much that is needed to work towards becoming the best Medium one can be. Those who use this ebook are very lucky to have this information free. It’s a wealth of knowledge. I can’t fault it.